Nomine Vernemetis voluit vocitare vetustas, quod quasi fanum ingens Gallia lingua refert. ‘The ancient wished to call it by the name Vernemetis, which refers, as it were, to a great shrine in the Gaulish language’. (Venanti, 12-13). This place-name is also recorded in the Passion of St Vincent d’Agen as Reonemetum (a corruption of regione Nemeti/ Nemetum). A chapter heading from the Indiculus superstition et paganiarum, the only surviving document from a series of synods held between 741 and 747 concerning missionaries to Saxony and Frisland, also indicates that sacred forests (or shrines in groves) were known as nimidas and still used in pagan worship. 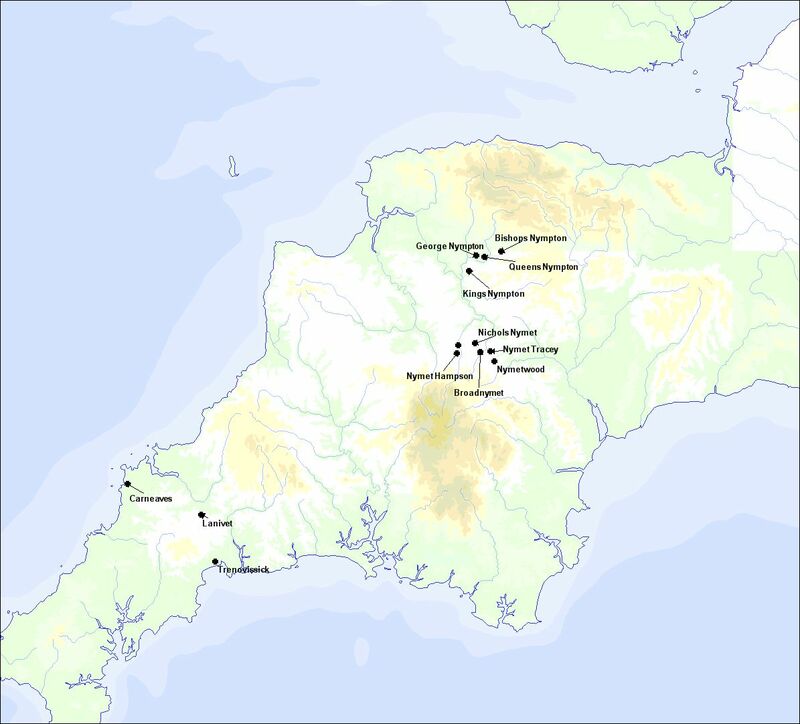 Sources such as Fortunatus and the Indiculus indicate that nemeton sites retained many of their pre-Christian characteristics, but with the adoption of Christianity, nemeton place-names, like many other pre-Christian religious sites, were modified to fit within the contexts of Christian ideology. There are fewer records of nemeton place-names in medieval Britain and Ireland. Old Irish nemed, ultimately a derivative of nemeton, came to be applied in many different contexts within medieval Irish society. The most common use of nemed in early Ireland was in relation to the Church. In medieval texts this term eventually came to simply mean ‘a sanctuary’ (in some cases ‘glebe-land’), and it is frequently associated with cell ‘chapel’. The term also developed to form an abstract in Old-Irish law referring to a person with certain privileges and immunities. The best source for the medieval Irish interpretation and functions of nemed is found in O’Mulconry’s Glossary from the Yellow Book of Lecan (Kilpatrick, Appendix III). The evidence for nemeton place-names in medieval England is appreciably greater due to the records in the Domesday Book (completed in 1086). The nemeton place-names (spelled in English as nymet) first recorded in Domesday are borrowings from Brittonic and are clustered in Devon, with one outlier in Gloucestershire. Nearly all of them survive today. In Devon they are located within the immediate vicinity of the Rivers Yeo, Mole and Troney, which were previously known by the name Nymet. C. E. Stevens suggested that Nymet was the name of a forest through which these rivers flowed. 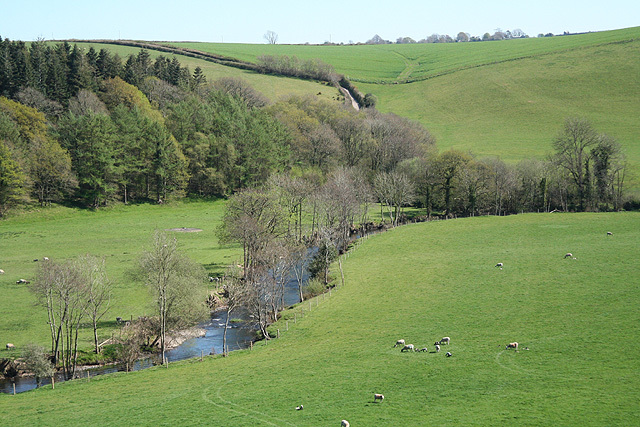 There is evidence of nemeton place-names in this area of Devon from the Roman period. Nemetostatio is very near Nymet Tracey and Nymet Roland. Similarly, the Romano-British name Nemetobala located at Lydney, Gloucestershire, was directly across the Severn from Nympsfield. It is ‘almost certain’ that the nemeton-element of Nympsfield is derived from its close proximity to the Uley Shrines complex . The region with the largest concentration of place-names in nemeton is Scotland, where at least twenty-six have been identified. They are, however, poorly documented. 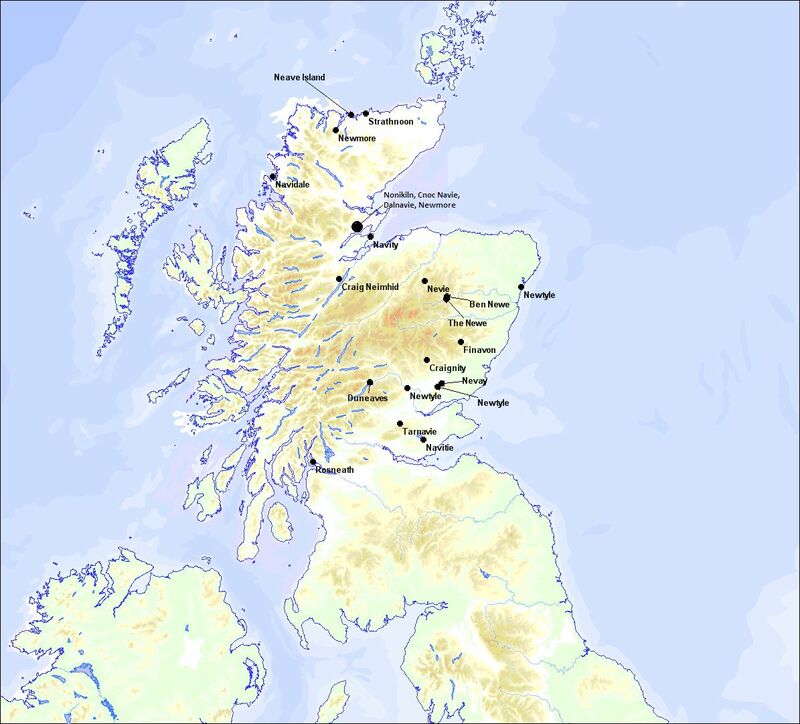 These sites have often been labelled as pre-Christian religious centres, though it should be noted that there is ample evidence of early Christian activity within the vicinity of most nemeton place-names in Scotland, and a number are closely associated with place-names in cell ‘chapel’. Geographically, the nemeton place-names in Scotland (excluding Rosneath in Argyll) are found in the former region of Pictland, which suggests they are derived from a developed Pictish form of nemeton (Taylor, 152; Goldberg, 178). Whether the Scottish nemeton place-names are pre-Christian places of worship which developed into Christian sites in the Middle Ages or early ecclesiastical sites interpreted similarly to the medieval Irish definition−or a combination of both−requires further study. Nemeton place-names in Devon and Cornwall. In Cornwall, the modern place-name Trenovissick (from earlier Trewarnevas) is of interest. The name is formed from Cornish tre ‘estate, farmland’ plus earlier *uer ‘great’, and *neved, and means ‘estate of the great sanctuary’. It is likely that tre was later prefixed to an existing name *Uerneved. The name would be identical to the Romano-British and Gaulish name Vernemeton, and if so, it may be a rare survival of an early nemeton site. The nemeton-based names that have survived in Cornwall are located within a particular geographical area. They are also not far west of the cluster of English nymet place-names and rivers in Devon, near the earlier Romano-British Nemetostatio. The available evidence suggests that there was a sharp contrast between the survival and function of nemeton place-names inside and outside the former areas of the Roman Empire. It is clear that the manner in which this term was interpreted changed significantly from the ancient world to the medieval, especially with the adoption of Christianity. From the Late Antique period the element was typically associated with a pre-Christian sanctuary of some kind, and was possibly a place that housed a shrine. By the early medieval period the term had evolved Christian connotations, and came most commonly to be associated with the Church. Though the word nemeton was retained in the various Celtic languages spoken in the medieval period, from the early Irish usage it is clear the word evolved within a Christian context, though certain aspects of the original meaning were preserved. Goldberg, M., ‘Ideas and Ideology’, in D. Clarke, A. Blackwell and M. Goldberg (eds. 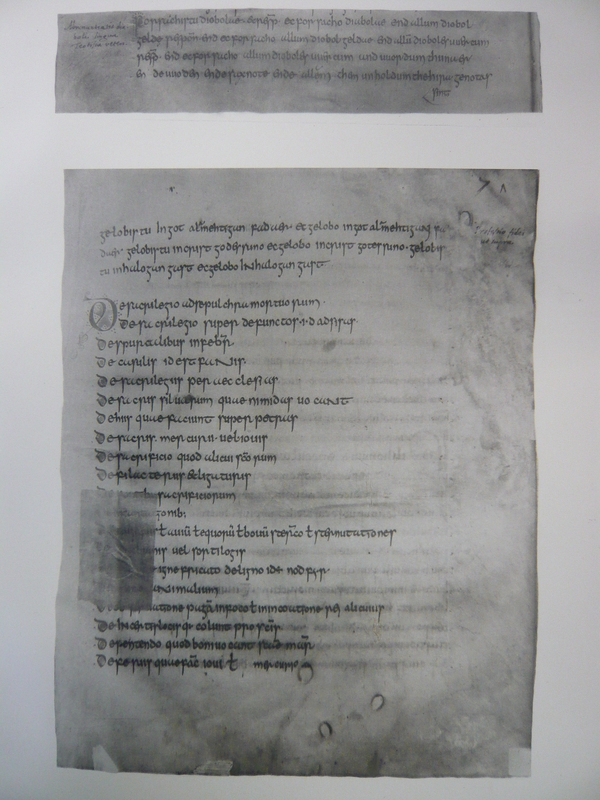 ), Early Medieval Scotland (Edinburgh, 2012), pp. 141-204. Kilpatrick, K. A., ‘A Case-Study of Nemeton Place-Names’, Ollodagos: Actes de la Société Belge d’Études Celtiques, 25, Appendix III. Stevens, C. E., ‘The Sacred Wood’, in J. V. S. Megaw (ed. ), To Illustrate the Monuments: Essays on Archaeology Presented to Stuart Piggot (London, 1976). Taylor, S., The Place-Names of Fife, vol. I (Donington, 2006). Venanti Honori Clementiani Fortunati, Monumenta Germaniae Historica (Berlin, 1881). This entry was posted in Ancient Sites and Myths. Bookmark the permalink. When you say that Reonemetum is a corruption of regione Nemeti/ Nemetum, do you mean an orthographic corruption, or a phonological development?